Ever since the Willys Jeep drove off the battlefields of World War II to become one of America’s favorite off-roaders, military gear has been crossing over into the off-duty pursuits of outdoors enthusiasts. 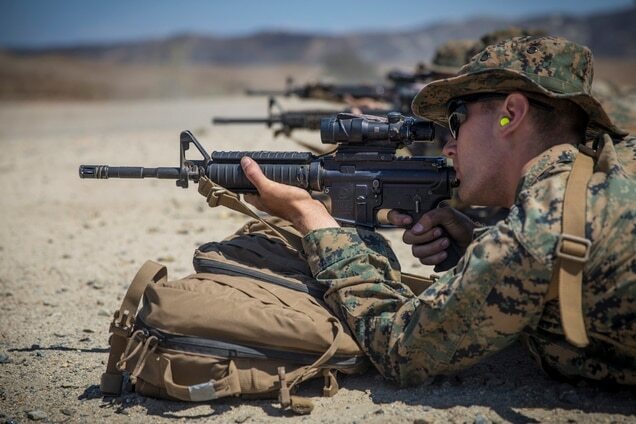 But now more than ever, it's working the other way as well, as innovative outdoor civilian gear designs find their way into the rucksacks of troops downrange. And that, in turn, is fueling even better gear on the shelves of REI, Gander Mountain and other retailers. 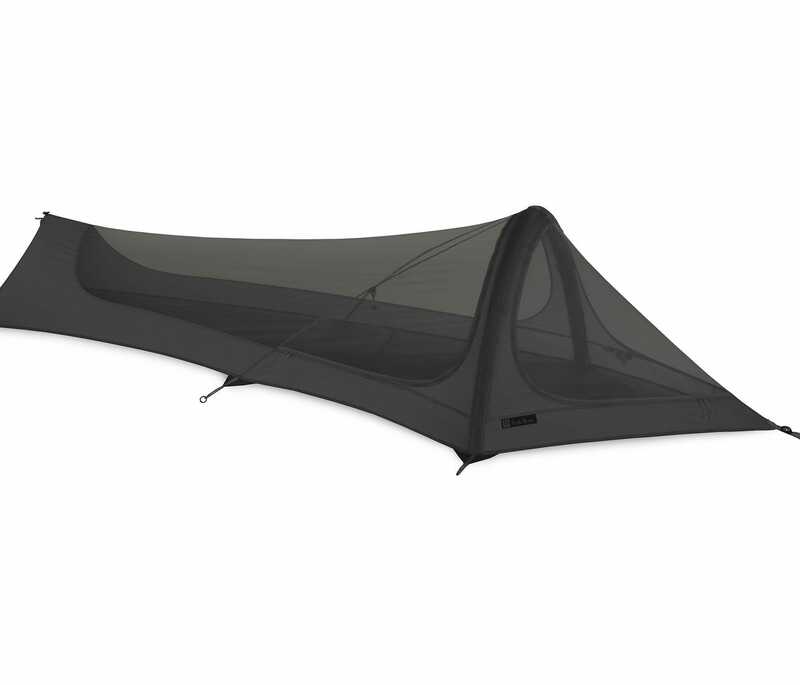 Take, for example, NEMO Equipment's Gogo tent. The New Hampshire-based gear company trades the aluminum and carbon fiber poles found in traditional tents with an inflatable rib. NEMO's designers call it an "airbeam." It blows up within a few seconds to create an almost instant shelter against the wind, rain and elements. "They're exactly the opposite of what most consumers expect. We're used to inflatable things being toys, and beach balls, cheap stuff and flimsy," says NEMO founder Cam Brensinger. "But the truth is, the airbeams are a little heavier than aluminum poles, but they pack smaller, set up faster, and are more rigid. You can't break it, and if you fall on it, it just springs back up. 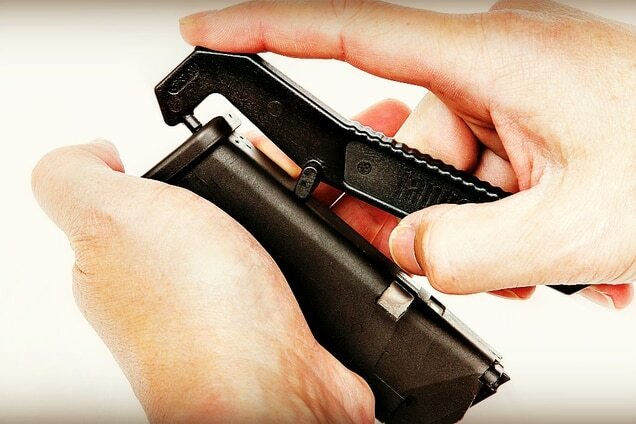 If you ever puncture it, the airbeam is like a bicycle tire so you can just patch it or replace the bladder. "All great things, it turns out, for special-operations units." Indeed, the SEALs of the Naval Special Warfare Command were so impressed with the design that they began buying them in 2006. "The Gogo was actually the tent that started our military business," says Brensinger. The company's Shield line of tactical gear has grown to include a variety of tents, sleeping bags, pads and other specialty products. NEMO's new Advanced Linking Combat Shelter — heavy-duty, four-season, single-person tents that join together — are now standard issue for all SEALs as they finish their basic qualification course on their way to survival training in Alaska. Based on feedback from the SEAL teams and other special-ops units, Brensinger also has created two military versions of the Gogo, the first dubbed the Tanto and later the Saber, which added a weather-protected vestibule designed specifically for shooters. All that innovation led to a new civilian version called the Gogo Elite. At a weight of less than 2 pounds, it's small enough to pack into a Nalgene bottle, yet at 9 feet long and 3 feet wide, the 2-foot-tall shelter offers plenty of space for a single sleeper and gear. No wonder it's already becoming a favorite among backpackers and climbers who like to go fast and light as well as cyclists and motorcycle campers who put space savings at a premium. Even the rucksack has become a civilian-to-tactical-and-back-again crossover. Dana Gleason remembers the call well. A special operations unit was preparing to go to Afghanistan shortly after 9/11, and the man on the other end knew exactly what he wanted. Gleason, who describes himself as an old hippie skier and climber, says it wasn't exactly the kind of discussion he'd ever imagined having. But his name was literally legendary among the backpacking community in the 1990s. 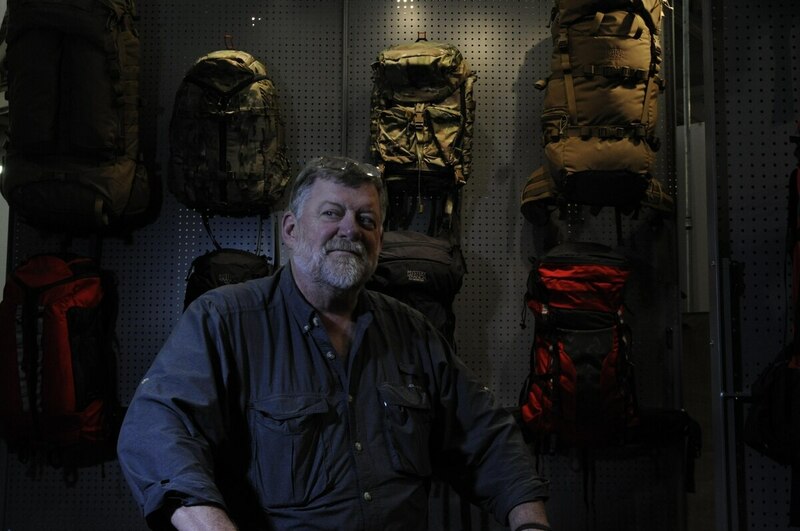 His "Dana Design" boutique ruck-making operation in Bozeman, Montana, was renowned for creating tough packs with innovative loadbearing. His brand eventually was bought out and dissolved by competitor Marmot, but now Gleason was back at it under his new banner, Mystery Ranch. One pack in particular featured an innovative three-zipper configuration that cut down the very center of the pack, allowing quick access to everything inside. Designed initially for skiers and climbers, the pack was called the Sweet Pea. Sure, said Gleason, it would be no problem building the pack with camouflage fabric. Other modifications could be made as well. "Then there was this pause on the phone," Gleason recalls. Seems there was just one more thing: "I'm not sending any of my boys into the f'ing sandbox with an f'ing ruck called the Sweet Pea," the spec-ops leader barked. "That's when I invented the name 3-Day Assault Pack," Gleason says. It's now one of the most popular carryalls in many corners of the military. "Then we started thinking about how to wear a ruck over body armor," he says. "It can get awkward with all the extra bulk. You need a little extra help, which is why we created our Bolster system — a kind of outer rail — which seats down over the SAPI plates and holds things stable." 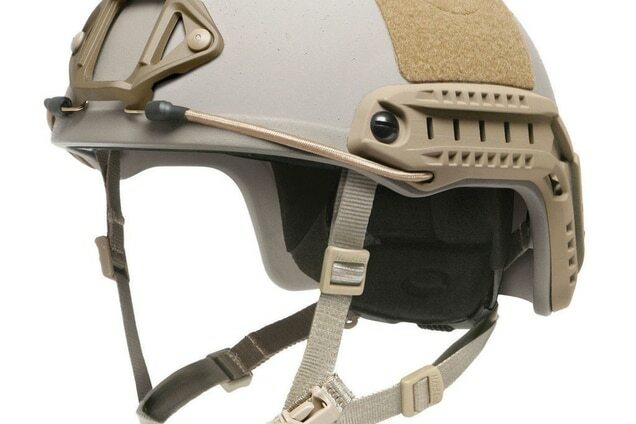 That Bolstered Ventilation and Stability system is now found on a wide variety of tactical rucks issued by the military, including the Special Operations Assault Top Loader, or SATL for short, and the large Tactiplane ruck issued to long-haul recon units. For more than a decade, Mystery Ranch has remained largely out of the civilian recreational side of things, but now Gleason is coming full circle to his outdoor recreational roots. "We talk about tribes a lot. I came out of the outdoor tribe. 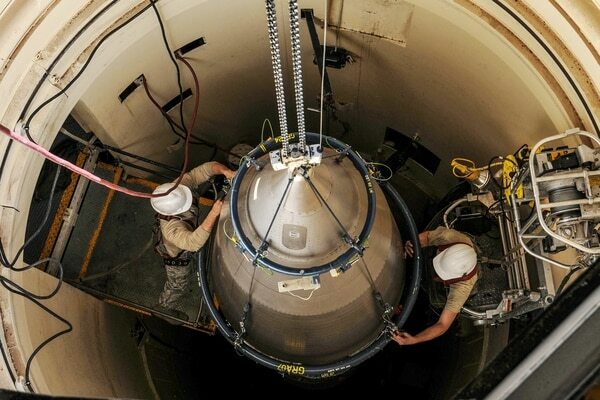 For the past 15 years, our tribe has become the military — they drive our technology. Military needs are what focuses us and forces us to come up with new things that make stuff work better," he says. "And now we're able bring some of that back to our outdoor tribe." The 3-Day Assault Pack is getting a civilian version, for example, dubbed the Swift, while the new Glacier is based largely on the Tactiplane. 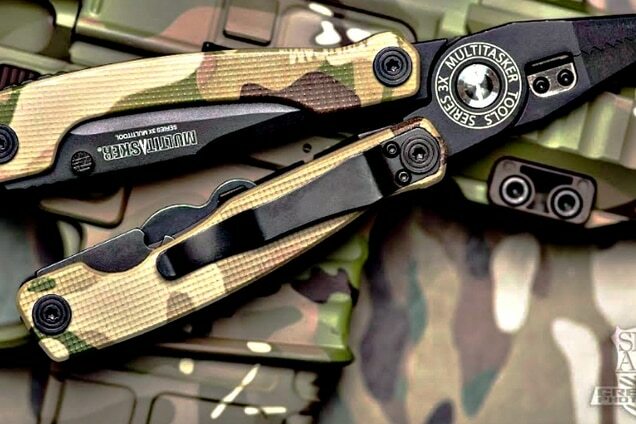 Mystery Ranch military products are still made in the U.S., which makes them more expensive, but Gleason says pricing on his recreational line will be more competitive, with a new manufacturing plant at Clark Field, the former U.S. air base in the Philippines. Seattle-based Outdoor Research is another company that developed strong ties to the military in the wake of 9/11. Founded by Ron Gregg, a physicist who began developing outdoor gear after his climbing partner suffered through crippling frostbite because of faulty equipment, Outdoor Research has long been a top leader in developing innovative gloves, hats and mountaineering accessories. "As soon as 9/11 hit, whether it was Delta Force or the SEAL teams, they were all hitting all these outdoor stores — REI, EMS, Gander Mountain — literally just buying whatever they could from sleeping bags to pants to gloves," says former Army officer T.J. Laynor, who was among those early-deploying troops to Afghanistan and then Iraq, and is now the government and tactical program manager for OR. "It was those companies that actually contacted OR and said there's a real niche here," he says. "These people literally just woke us up in the middle of the night with a black credit card and just wiped us out of all our stuff. "At the same time, we were getting feedback from these guys from the field saying, 'Hey, I've got your Alti gloves. They're great, but they'd be better if they were in coyote right now and they could use less material here and more there.' "
One of OR's newest gloves, dubbed the Coldshot, takes "the technology that we've been developing both from our military line and our skiing line and combines it into a new glove." The company also has been working directly with the SEALs to develop new maritime and jungle uniforms that are better able to shed water while handling humidity, with improved style over existing options. Meanwhile, 5.11 Tactical — also started by a civilian mountaineering expert, who named the company after the hardest ranking of technical climb — is turning back to its roots. The company originally was more of a North Face-type brand. But since about 2003, when it was bought by an investor, 5.11 Tactical has shifted fire to the gunslinger community, building a loyal following among law enforcement personnel, service members and government contractors largely for its tough but functional uniforms. 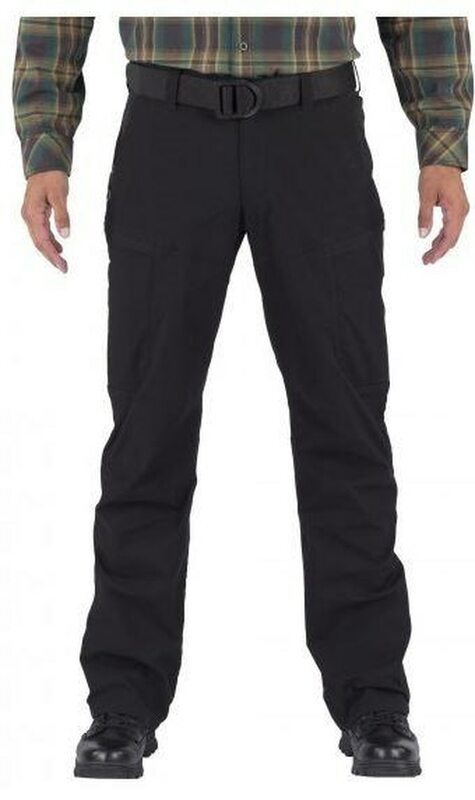 According to 5.11 Tactical, the new Apex pants are "the perfect fit for a weekend hiking excursion." In 2012, 5.11 Tactical purchased Seattle-based outdoor apparel manufacturer Beyond Clothing, another innovator among outdoor enthusiasts, and has since launched a variety of lines geared toward casual pursuits. 5.11's new Apex pants are billed as "the perfect fit for a weekend hiking excursion." Some crossovers are as much fun as they are functional. The former Rangers who run Combat Flip Flops, for example, offer their own adaption of a claymore mine bag reimagined as an urban fashion accessory. Their bag "takes the best features of minimalist M7 bandoleer design, injects business, and enables you to carry the new weapons of change." It also makes a cool diaper bag for badass dads: "Keep your manhood while still taking care of those messy ops." 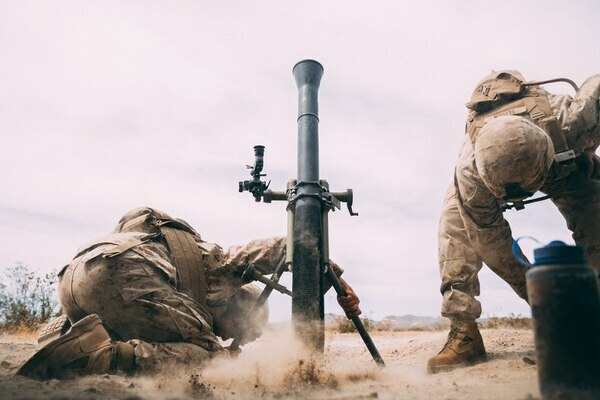 More recently, the company has launched a new line of shemaghs, the man-scarfs common in Afghanistan and the Middle East favored by locals and special operators alike. "Do you need one?" asks their snappy marketing pitch. 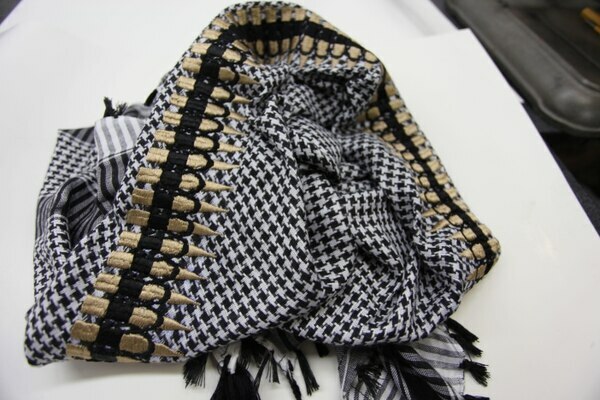 "If you spend any time in the sun, outdoors, or in a suit, the shemagh is a force multiplier. Use it to shade yourself from the sun, hide from an ex, or cool yourself off in the shade. The uses and configurations are only left to your imagination." All made in a woman-owned factory in Afghanistan, the scarves are in keeping with the Combat Flip Flops ethos of helping transform war zones with better business opportunities rather than bullets. With options ranging from a basic cotton shemagh for $16 to their top-shelf 100-percent Afghan cashmere "Cashmagh" for $250, a portion of all proceeds helps put Afghan girls through school.